How to achieve the best Burrito? 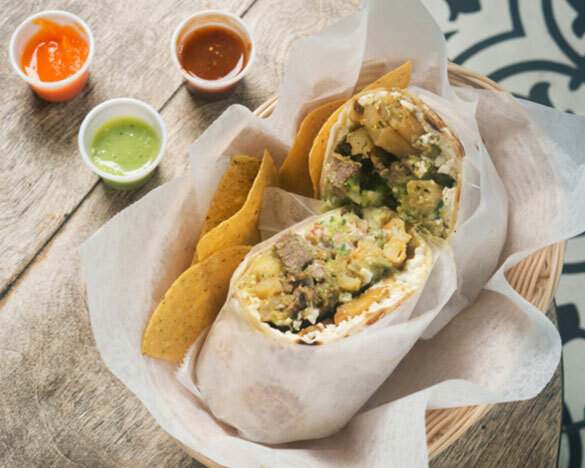 If you are going to be cooking up a storm in your kitchen, and you would like to come up with the ideal burrito that is basically going to be the best burrito of all times, how are you going to go about doing it? Well, this is a very tough project to undertake because when it comes to food, ultimately, it’s a personal judgment call. Seriously. It’s like determining great art. Something might look great for one person, but it might be completely horrible to another person and vice versa. It’s very easy to throw your arms up in the air and say that it’s all subjective. However, thankfully, it isn’t that bad. You see, with food there is such a thing as middle ground. There is food that you can prepare that everybody could agree is good to a certain extent. They’re not ecstatic about it, but they’re not dismissing it as dog food either. It’s good enough for everybody to agree on, and this is what constitutes good food for a lot of people. This is what you have to work with when it comes to burritos. Burritos are awesome because they are very customizable. It really is just a form. It’s a wrap made up of a tortilla, some rice and beans and meat or veggie fillings and some fresh ingredients. That’s it. It’s like the blues. It only has a few notes and some chord progressions, and everything else is up to you. That’s how you can tell an amazing blues man from somebody who’s basically a workman, somebody who’s just going through the motions or somebody who’s just following some sort of set formula. That’s how you can tell somebody who’s great from somebody who’s mediocre, and among the greats, you can tell if somebody were a true innovator and somebody who’s just a great technician. The same applies to burritos. Really great burritos take the ingredients to a whole other level. I’m not talking about being cute. I’m not talking about like grilling vegetables or fermenting vegetables using kimchi and stuff like that. That’s cute. I’m not saying that’s worthless or it tastes bad because some fusion burritos are awesome. However, that’s not my point. My point is when you look at the ingredients, and you come up with variations to the same formula, that really takes the formula and gives it a tremendous amount of life. That’s how you know you’re dealing with master burrito craftsman instead of just some apprentice or some journeyman who’s just going through the motions. Instead, you’re dealing with somebody who knows the interplay between fresh ingredients, texture and taste. They weave all these factors together to come up with something magical. They come up with something almost brand new, and these explosions on your taste buds really are taken to the next level when you factor in texture. That level of attention to detail does not fall out of the sky. It doesn’t happen by accident nor is it arrived at by random. It requires a tremendous amount of experience. It requires a tremendous sensitivity to slight changes. This is why it is a distinct pleasure to hop from taco shop to taco shop, in East L.A. or San Diego or the Mission District of San Francisco. You are just treated to so many different variations of the burrito that is just really mind blowing. It really is like a mix between a walking tour of Mexico and walk down the different agricultural spots of the Central Valley of California.